Movies look cool with those EKG (electrocardiogram), the one that beeps and detects heart activities. A few months ago, we had to shoot a hospital scene for our school project. We needed an EKG instrument. To keep the movie authentic, we didn’t want to fake the readings so we made the next best thing, a pulse monitor. Since my dad is a doctor he gave me some advice to design the pulse monitor. You can make a lie detector/ polygraph and tell who’s lying or not. When a person lies, you’ll notice a sudden change on the graph. Why isn’t mine working? For some reason LDRs (light dependent resistors) are not standard in resistance ratings. 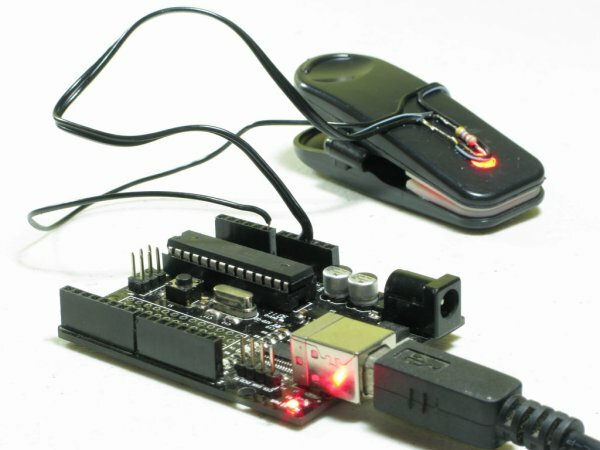 You’ll need a some tweaking to pull off the project, it may require experience with Arduinos and electronics. This project is inspired by Make Magazine’s pulse monitor although my version didn’t use a LM324 Op-Amp chip. Their tutorial will work on my setup. This project works best with rubber padded hangers. Luckily “Marks & Spencer” gives away these hangers for free. Drill a hole on the exact center of the clip’s rubber pads. Bend the LDR’s leads then mount them in place. Finally use hot glue to keep the LDR from moving. You’ll barely get a reading. 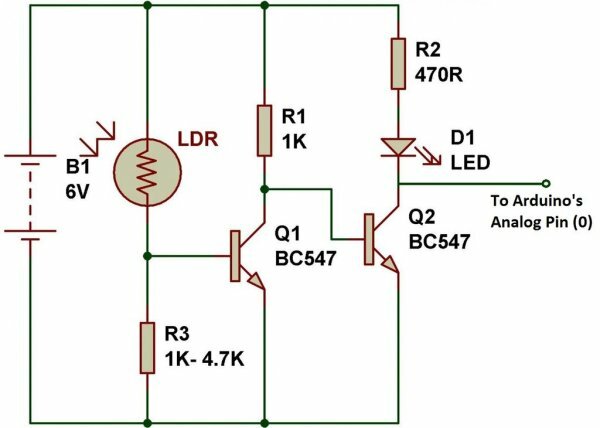 If yours doesn’t work, use this circuit to amplify the readings. D1 is just an indicator and not the red LED that’s used to light up your thumb. It’s best If you use a 10k trimmer resistor for R3 rather than a fixed value resistor. Processing 2 is the graph/ monitor software that will visualize your data while the Arduino IDE is for uploading the arduino sketch. You’ll need both to run the project. Click on the links below to download them.